Today the Growing Minds team is remembering Laurey Masterton. 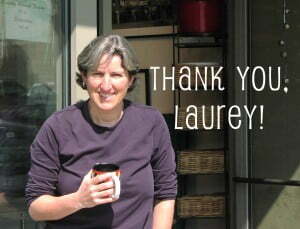 Laurey was a chef, author, beekeeper, educator, and activist who helped launch our chefs in schools program. Her presence in our community will be greatly missed. Thank you, Laurey, for helping us to remember to never postpone joy. Please leave your memories on ASAP’s From Here site and view our photo gallery of Laurey through the years.